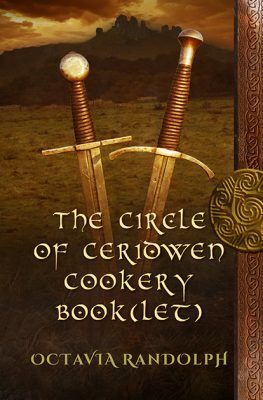 Here is The Circle of Ceridwen Cookery Book(let), a collection of easy and authentic 9th century recipes – a time when all food was “clean food”. These are the recipes enjoyed by the characters in the best-selling Historical Adventure series, The Circle of Ceridwen Saga. To read more about the Book(let) just click here. Watch my fun short video about making Honey Cakes. The Circle of Ceridwen Cookery Book(let) comes in two forms. The first 8 page PDF version is specially formatted to be printed out as a folding booklet. The second PDF version is 16 pages long and is meant to be used on your phone, tablet or laptop in the kitchen, or can be printed out on individual sheets of paper. Both versions contain all recipes and illustrations. Take one, or both, and happy cooking. You will need a total of four (4) sheets of 8 ½ x 11 inch paper. You will be printing one page at a time. Set your printer page layout to Landscape and set page scaling to “fit”. Print the first page which will have the front cover on it and the Pyewacket Press emblem. Remove the printed page from your printer, turn it over and insert so that the front cover goes in first. Print the second page on the back of the first page and remove. Repeat steps 1-3 for the remaining 3 sheets. Place the sheets together in order and fold in the centre. Let me know what you made and how you liked it. 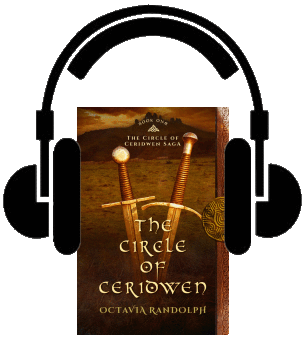 Years ago I recorded the first seven chapters of The Circle of Ceridwen just to see if eventually people might want to listen. (They did.) Today the entire 22 hour book is available via Audible, magnificently performed by London actress Nano Nagle. But for any who may be interested, here are 80 minutes of my own recording – again, just the first seven chapters. The original music (an electrified hurdy-gurdy!) is by Dan Dutton. Instructions: Simply click on the link below to stream the audio. Alternatively, you can pause the player and then right-click anywhere on the page and choose “Save as…” in Chrome or “Save page as…” in Firefox to save the mp3 to your desktop. Or you can right-click on the link below and then select “Save link as…” in Chrome or Firefox or select “Save target as…” in IE. If you are using the free Quicktime plugin and want to save the file to your desktop, right-click on the link below and then choose “Save target as…”. With the Quicktime Pro plugin you can save the file from the plugin dropdown menu. You can then download the mp3 to your favourite device for your listening pleasure. Download or stream the audio from here.